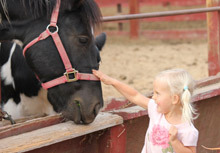 Start off your week with an hour of fun at Amy’s Farm! 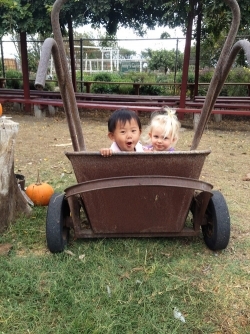 Each week we will learn about a new farm animal and explore a new area of the garden. Classes last for eight weeks. 9:30 AM – 10:30 AM on Mondays from March 2–April 27. Class is open to all children ages 20 months to 5 years and an adult. Cost is $110 for 8 weeks. $100 for each additional sibling living in the same home. Pre-registration is required. Please email melissa@amysfarm.com or call 844–4AmysFarm.